If you’re looking for a small community which you can call home, Ashburn Village in Loudon County will more than exceed your expectations. It comprises a scenic lake as well as other natural features that add to the beauty of its landscape. Additionally, it has a thriving downtown district where you can shop, eat and make merry in your free time. What’s it like to live in Ashburn Village? In recent years, there has been a significant increase in the number of people living in this region and this rise in Ashburn village real estate purchases owes to a lot of reasons. For one, there is a large recreation area known as the Ashburn Village Sports Pavilion where community members gather for a range of events and sporting activities now and then. Here, you can take up swimming, play tennis as well as other court sports. If you wish, you can get into a swimming team and have fun competing against your neighbors. The Pavilion is also home to a marina where you can enjoy water activities such as kayaking, canoeing and using pedal boats in the warm weather. It’s a great place to entertain your kids during the holidays. Speaking of children, this Pavilion offers you an excellent place to leave your kids on your way to work. They can make new friends, work on their school work, take part in arts programs and stay fit by engaging in various sports. And you always have the assurance that they’ll be safe in the community. Furthermore, Ashburn Village also has many community centers where you can participate in a wide range of activities. From banquet rooms to tennis courts all the way to outdoor pools, these centers have what it takes to keep you and your loved ones entertained. If you are having a big event and are in need of space to accommodate your guests, you can hire one of the rooms for this. For outdoor water activities, you’ll be happy to know that this community boasts of eight lakes across the region. Whether you want to spend some quiet time fishing or are in the mood to relax in a boat, you have various opportunities to do the same. It’s not all about working up a sweat throughout the year as there are many laid-back activities in which you can take part. From the annual Village Festival to the Summer Movie nights, you and your loved ones will have lots of avenues where you can sit back, relax and enjoy some good times with friends. These events feature variety in food, drinks, and recreational activities. What can you do in Ashburn Village? If you want to do some shopping or eat out, the Ashburn Village Center is the place to be as it is the commercial hub of the community. Here, you can grab some things at the grocery store as well as the numerous specialty shops in the area. For food, you can choose to have fast foods or can sit down and enjoy the different cuisines served at most of the restaurants. The Banjara Indian restaurant is one of the most popular places at the center. Not only will you get prompt and polite service but you also get to enjoy their delicious food. They also deliver, as do most eateries, so you do not have to leave the house to grab a bite of your favorite meals. For a drink, as you catch up with friends, pop into the Ashburn Pub where you can enjoy a range of activities ranging from live music to trivia nights. This community is part of the Ashburn Real Estate Sector in Loudon County, Virginia. For this reason, it is not very big, and that makes it ideal for anyone looking to enjoy some quiet time with loved ones at the end of the day. It comprises five thousand units, divided into townhomes, condos and single-family houses. In this way, the community caters for single people, families and the elderly. Seniors enjoy age-restricted condos. The median listed prices often range anywhere from $350,000-$650,000, amounts set to increase in the coming years, owing to the convenience of the community. 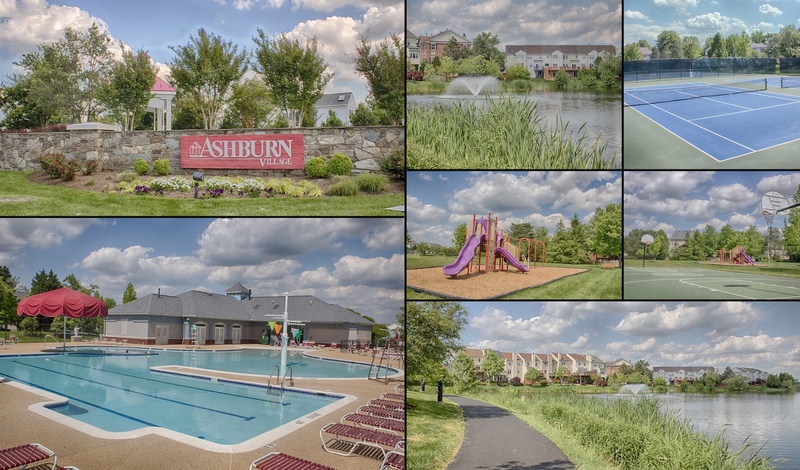 Ashburn Village lies thirty miles to the south-west of Washington DC, and you can get around using the Dulles International Airport which is minutes away from the area. You can choose to drive to work or use the bus if you wish. This community is ideal for all ages, and you are sure to bathe in the natural beauty radiating from every corner. Contact us at Kutsevich Realty today and let’s get you started on getting you a suitable home.